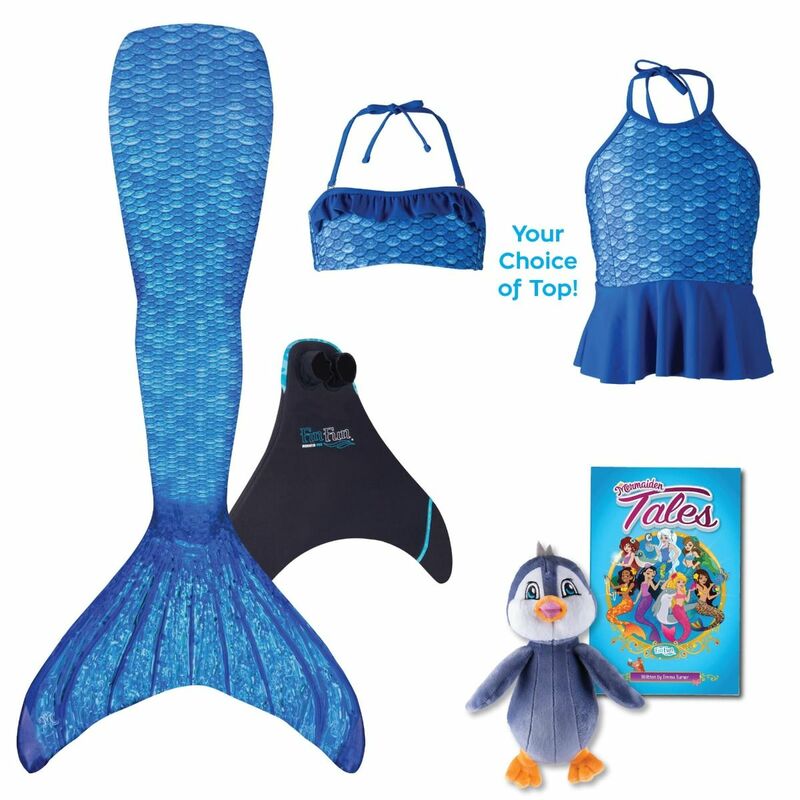 Enhance the magic of gift-giving with our Arctic Blue mermaid tail gift set for kids! They’ll be ready to swim and even enjoy story time with the added book and plush toy! Swimming and reading are two activities your mermaid will enjoy even more once she receives this mermaid gift set from Fin Fun! Our mermaid tail of icy blue scales comes with a swim monofin and matching swim top in a bandeau or tankini style, so your child can enjoy mermaid life to the fullest! And when life on land calls, there’s a Mermaiden Tales book to be read that’s swimming with the underwater adventures of Mermaiden Crystal and her FinFriend Pepper the Penguin, whose toy version is included in this fabulous gift set!